We will make a 25th anniversary booklet. The biggest charm of SVX is good of the run which can be called "Four Seasons Express". 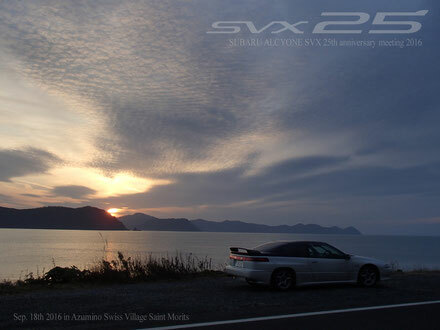 And the other biggest charm of SVX is "The coupe which reproduced the Giorgetto Giugiaro design faithfully". We'd like to make a book using these.